Season Long "Learn to Ski Program"
Details: The Learn to Ski Program is a great way for children and adults who are first-time skiers to get started. How To Redeem: Choose 4 days of discounted lessons and rental packages. Enrollment is limited and reservations are required. Please call 801.799.2271 for more information and to make a reservation. Details: $45 Gets first-time beginner a day pass on Little Beaver, a lesson, and a complete rental package. Good January 3 thru January 31. Not valid January 19-21 (Holiday weekend). How To Redeem: Guest must reserve time in advance by calling Beaver Mountain Ski School at 435 946-3610. Restrictions: Not valid holiday weekend of January 19 thru 21. Details: Starting January 7, 2019 through January 31, 2019. Package includes a 2 1/2 hour lesson, lift ticket and rental equipment for first time skiers or snowboarders. Lessons begin at 10:00 a.m. or 1:30 pm MST. Please arrive 30 minutes prior to lesson start time to get fitted with rental equipment. How To Redeem: Call (435) 677-2035 to reserve your lesson. Age: Ages 13 and up. Restrictions: Offer valid for first time participants only. Lift ticket restricted to Pioneer chair lift and Magic Carpets. Limited availability and reservations required. Make up dates will not be offered anytime after January 31, 2019. Offer not valid during the MLK Holiday Period (January 19 through 21, 2019). Details: Starting January 7, 2019 Brighton is offering Learn to Ski or Snowboard packages (LSSM) for $49! You can use your LSSM package any mid-week *day starting Jan. 7, 2019. Ages 13 and up recieve a full-day learner lift ticket, full day rental and a two hour lesson. Please arrive 30-60 minutes before the lesson. Additional time is needed to get your rental equipment fitted in preparation for your lesson. How To Redeem: MUST REGISTER ONLINE - register. Daily group lessons are available Weekdays (Monday thru Friday) at 10:15am and 1:15pm. After Jan. 1, 2019 this package can be purchased online at brightonresort.com. Age: For ages 13 and up. Restrictions: NOT VALID on any Saturdays, Sundays. or Martin Luther King Day, Jan 21. This package is for ages 13 and up only. This promotion cannot be combined with any other discount or other promotion. This promotion expires after January 31st, 2019. No refunds or make-ups will be issued for unused packages. Details: The Learn to Ski Program will take place on Saturday, January 26, 2019 for first-time local skiers. This package includes a lesson, lift ticket, ski rental equipment and a locker/basket check storage. This lesson will begin at 12:45 and end at 4 pm. Participants must be 13 years of age or older. Restrictions: Lesson offered only offered January 26, 2019 only Participants must be at least 13 years of age. Limited to the first 70 registrants. This program will take place on January 26, 2019 only. Details: The Learn to Ski Program is available for first time Skiers/Snowboarders. The 2 hour group lesson will be a first time on snow lesson. This package includes a 2 hour group lesson, lift ticket, ski rental equipment. The lessons are available Monday-Friday your choice of 10 am or 1pm Participants must be 5 years or older for Ski Lesson, 8 years or older Snowboard. How To Redeem: Reservations must be made 1 day prior to lesson date, by calling Nordic Valley Learning Center at 801-7453511 ext 2, OR email skischool@nordicvalley.ski referring to "Ski Utah Learn to Ski Program" Lessons do sell out and subject to availability. Age: Participants must be 5 years or older Skiing, 8 and older for Snowboard. Restrictions: NOT VALID on any Saturdays, Sundays or Martin Luther King Day, Jan 21. This package is for First Time Ski/Board lesson ONLY. Lessons are subject to availability. Details: Learn to ski or snowboard in January and save $100! Join us for an all-inclusive skiing or snowboarding lesson for a guest looking to get into a new winter sport. Rentals, lift pass and three hours of instruction are included. Restrictions: Must be 13 years of age or older. Details: A program designed specifically for never ever skiers and riders. Includes Lift Ticket and Rental Equipment. Learn to ski or ride with us and find out what all your friends are talking about! Lesson starts at 1pm, 2.5 hour lesson. For ages 16 and over. Age: For ages 16 and over. Restrictions: For ages 16 and over. Monday - Thursday during January 2-31, 2019. Does not include January 18-21, 2019 (MLK Weekend). Details: Utah residents can learn to ski or snowboard for only $49. Package includes a lesson, lift ticket, and rental equipment. Available for first-time skiers and snowboarders age 7 or older. Lesson time 1:00 - 3:30 p.m.
How To Redeem: Reserve your lesson by calling Solitude Mountain Resort at 801-536-5730 and referring to the "Ski Utah Learn to Ski and Snowboard Program." No-show and cancellation policy: Must cancel before 4:30 p.m. (MST) one day prior to the start of the program; otherwise, a no-show/cancellation fee of $49 per participant will be charged to the credit card provided. Age: Open to participants age 7 or older. Those under 18 years of age must have a parent or guardian sign a rental agreement and acknowledgement of risks agreement prior to the start of the lesson. Limited to one lesson per person. 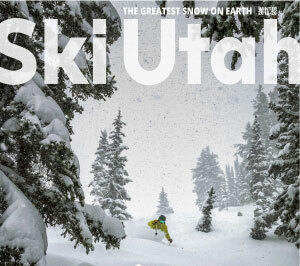 Restrictions: Only valid for Utah residents who are first-time skiers and snowboarders. Must present a current Utah driver's license, Utah utility bill, or Utah business paycheck stub. Open to participants age 7 or older. Those under 18 years of age must have a parent or guardian sign a rental agreement and acknowledgement of risks agreement prior to the start of the lesson. Limited to one lesson per person. Other Information: What to Bring/Wear: Appropriate ski/snowboard attire (pants and a jacket), gloves, goggles/sunglasses and sunscreen. Helmets are available at no additional charge. Offer will start on January 8th and will be valid on Tuesday mornings in January. Offer Valid January 8, 15, 22, 29. All participants must sign a liability risk agreement waiver at the time of registration. A local is defined as anyone with a current Utah driver license or proof of residency. Offer valid one time per guest. How To Redeem: Offer can be purchased at sundanceresort.com. Guest will be asked to provide valid Utah Identification. Check-in at the Ski & Snowboard School office at 8:30 a.m. first, you will then be directed to the rental shop. Guest will be placed in a 1st time (beginner) lesson. A waiver must be signed for each guest before you arrive. Learn to Ski/Ride offer will be available to the FIRST 50 participants each day it is offered. Valid Dates: January 8, 15, 22, 29, 2019. Restrictions: For ages 8 and above. Offer valid one time only per participant.